We often get clients asking about which makeup tools and tips to use with which product, so we wanted to talk a bit about makeup tools and some basic makeup tips. A lot of clients say they aren’t very good at applying their makeup or they don’t enjoy doing it. Makeup should be fun and perhaps the only issue here is not having the correct tools. An essential part of well-applied makeup is using the proper tools. For the most part, tools consist of brushes. Our jane iredale brushes are so user friendly and really make applying makeup easy. The hair used in the brushes is ethically obtained from living animals by brushing or grooming the animals. This means no animals are harmed and actually the entire jane iredale line is certified cruelty free by the Leaping Bunny Program. Read more about the Leaping Bunny Program by clicking here. 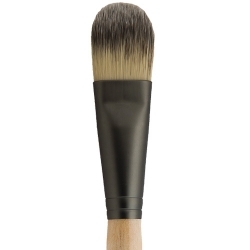 The brushes are hand-tied (hand-molded) resulting in tapered ends for an even, smooth, and blended application of product as well as very soft brushes. 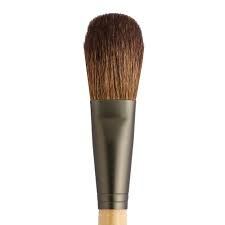 Natural-hair brushes should be used with dry makeup, such as eye shadow or blush. Synthetic-hair brushes should be used with liquid makeup, such as a BB cream or tinted moisturizer (see photo below for comparison). When doing a smoky eye, do your eyes first so if you have any fallout from the dark colours you can wipe that away before applying your foundation. If you struggle with eyeliner, do this before your shadows so you can hide any minor imperfections with your lid shadow colour. Always begin your foundation application with a primer. The purpose of a primer is to even your skin tone, minimize the appearance of pores and reduce the appearance of fine lines. For those of you who struggle with makeup application, come and see us and inquire about which makeup tools are best for you and how to properly use them. Hopefully these makeup tools and tips have given you some valuable information that you didn’t know before. We wish you all makeup application success!